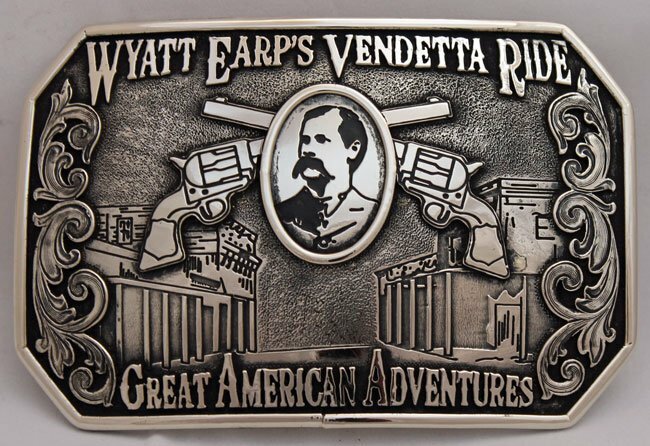 Special Order Wyatt Earp's Vendetta Ride Belt Buckle - Historic Old West Horseback Rides | Ride Where Legends Rode Can be purchased in either Jewelers-Bronze or German-Silver. Dimensions: 3" x 4 5/8" ... Please indicate in the remarks section which finish you prefer. Can be purchased in either Jewelers-Bronze or German-Silver. Dimensions: 3″ x 4 5/8″ … Please indicate in the remarks section which finish you prefer. 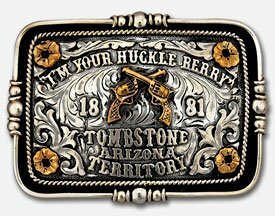 Each buckle is individually-made. Expect approximately 4 to 6 weeks delivery time.